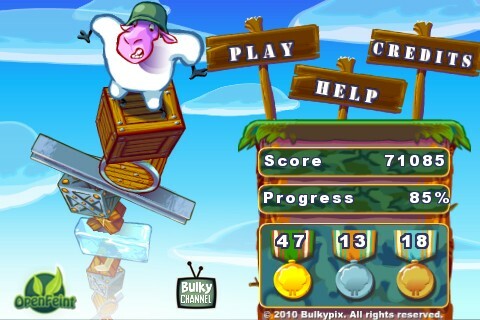 Bulky Pix has announced the release of Saving Private Sheep for the iPhone, iPod Touch and iPad. Saving Private Sheep is a physics-based puzzler that combines logic, dexterity and strategy to achieve victory. The war between wolves and sheep is raging. The sheep fight bloody baaarbarians who encroach upon their pastures. They want to graze in Peace! They won’t be led to slaughter in silence. It is time to launch operation “Iron Wool”! Help the Woolen Warrior conquer the enemy territory by leading it into the secure zone. To do this, you will need just one weapon: your finger! 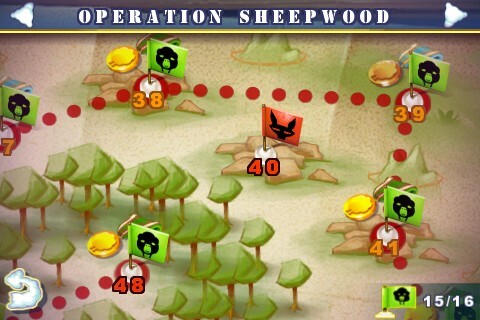 Destroy the obstacles in the surrounding area to enable the sheep to achieve its objective, to land on land, in total safety. Increasingly complex structures and special blocks (indestructible, explosive etc.) coming in a variety of shapes and with different actions will make your mission harder. 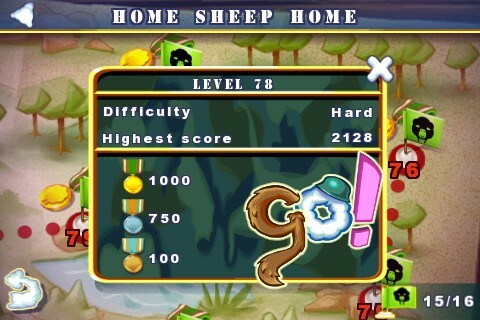 Saving Private Take the Woolen Warrior through a progressively difficult 80 levels. Combine logic, dexterity and strategy to achieve victory!